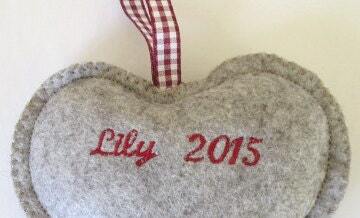 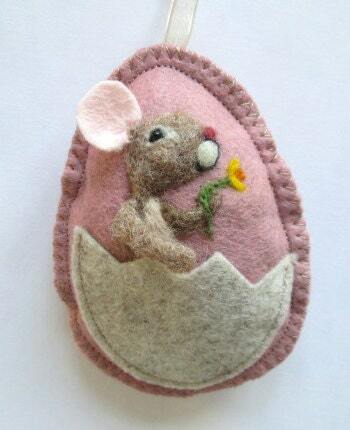 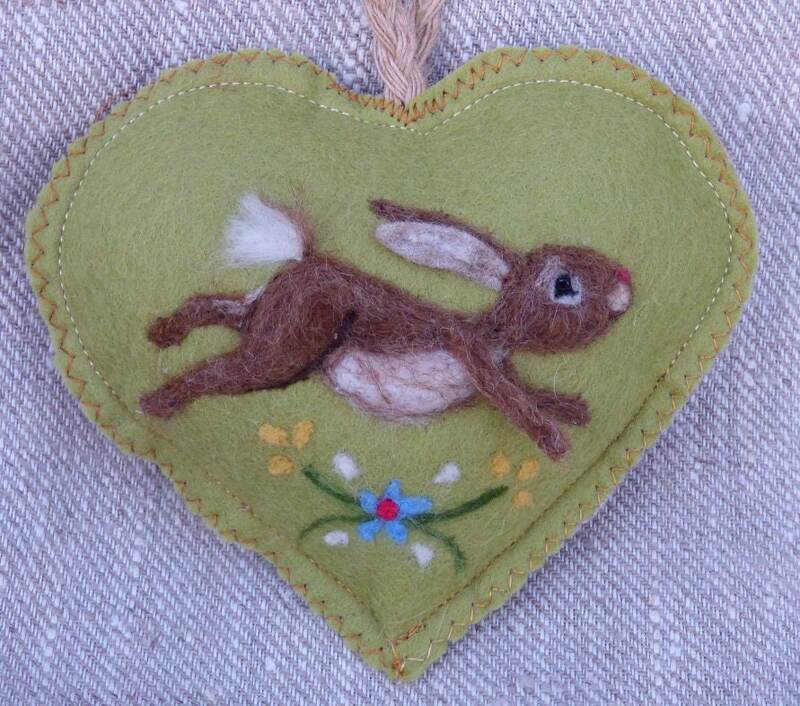 Easter Hare Heart decoration, needle felted rabbit leaping in the flower meadow, felt heart personalised with name. 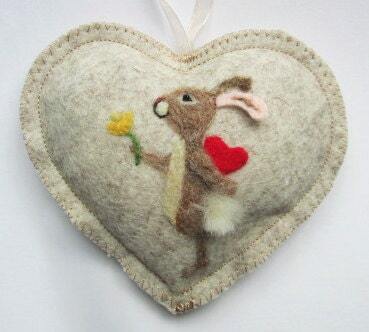 The design is needle felted with Somerset and Scottish wool and the rabbit is in Full Relief -The ear and arm are 3 dimensional making the heart attractive from many angles along with his fluffy bobtail! 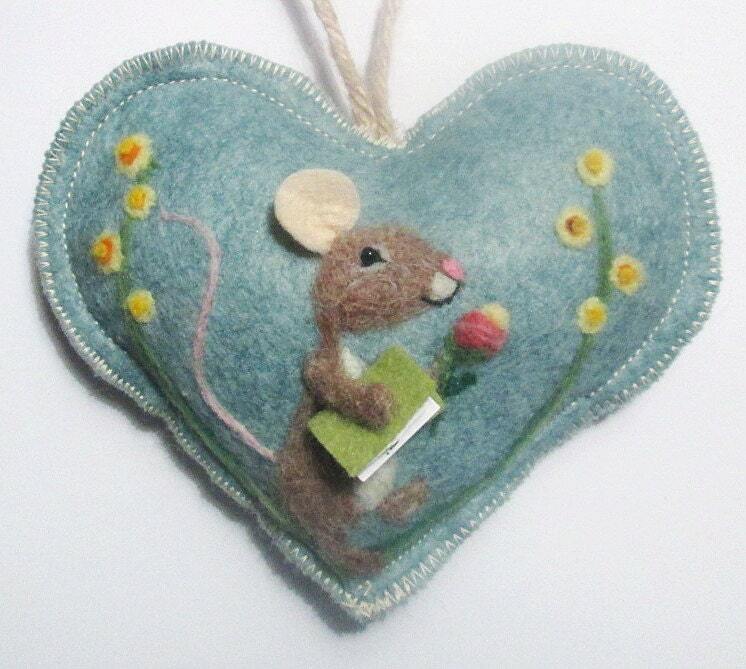 If you would like to make one yourself here is a link to some kits which come complete with everything you need to make two hearts.